When it comes to testing the performance, most of the professionals think about testing a website or testing email marketing. Very few people understand that Facebook is also a place to test campaigns. Facebook is one of the most popular places to connect with the targeted audience. Businesses also understand the importance of running Facebook campaigns and running Facebook tests to get maximum out of social media campaigns. Other people are reading: What blogging teaches you? Running Facebook tests can help you in real time to impact online marketing. Businesses are running Facebook tests to validate and determine every factor of successful marketing and business strategy. 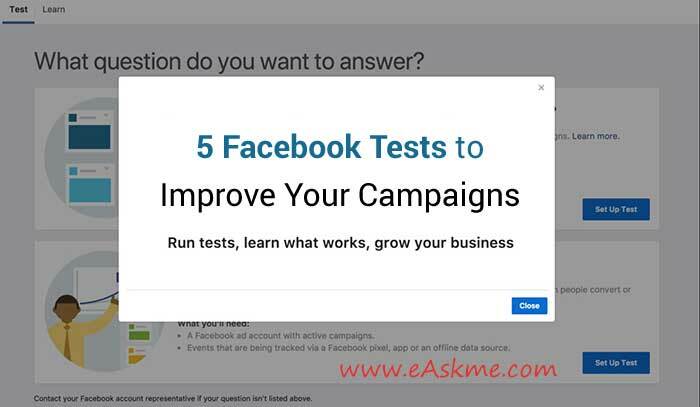 You can run Facebook campaign tests for as low as $50. You can analyze the result in 7 days. Today, I am also sharing the secrets of testing Facebook for campaigns. The reason why most of the businesses are running Facebook ad campaigns is to target audience. Facebook allows you to target audience by demographics, interest, age group, etc. Still, most of the businesses fail to attract the target audience for their campaigns. 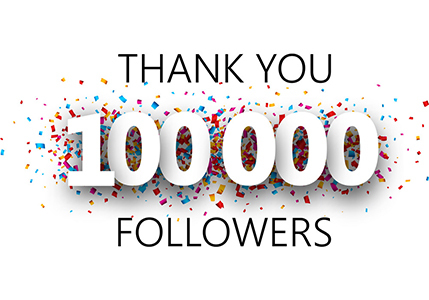 For example; I have created a new product to help interested people to start a blogging business. I know who the target audience is and what they want, but not sure how to identify them online with targeted ads. B2B businesses are struggling to target the people online. You may know what you need, but you may find it difficult to target them with ads. Facebook ads are easy to set up. But this doesn't mean that every campaign can bring high conversion rates. The only things that make Facebook an ideal place to target the audience are the targeting options. To run a test, you need to identify who your target audience is and what are their interests? Create a campaign based on reach. Create adsets for at least 3 or 4 targeted audience. Keep all ad campaigns same except your targeted audience. What will you learn from this Facebook test? With this Facebook ad test, you will find out which of your targeted audience is interested in your product. You can also look for the trends. In most of the business room meetings, only the highest paid person has the right to decide what he wants and what he does not want in your business. When running a Facebook ad, digital testing can be crucial in the beginning. Publish a post on your Facebook page to share each idea. Create a short and straightforward video outlining each concept. You can also use mock-ups in the test. Start with the $20/creative idea to get desired results. Creative Testing will help you find the people interested in your ideas. But the success of your ad campaign depends upon how creatively you have executed that. You will get the data to find how the audience engaging with your creative ideas. Remember: Business run creative testing at the time of optimization. When you are about o launch a new product or company it is necessary to find out how long it can attract the clients again and again. Facebook digital ad testing can help you quickly find out how the audience engages with your product or business idea. All you need is a Facebook post to run this test. You can run the product ad to find out how long your product can last. Create concept based image or video for this post. Create a landing page with survey questions to understand the user intent. What will you learn from this validity test for a product or a business? The result of the campaign will display the survey responses and click data to find the internet of the user. The beauty is that you can run such a campaign even without a real product or service. If you want to find out the benefits your product or business is delivering to the target audience, then marketing messaging is for you. Running marketing messaging test will help you find out if your campaign is already doing the best or you need to test new campaigns. 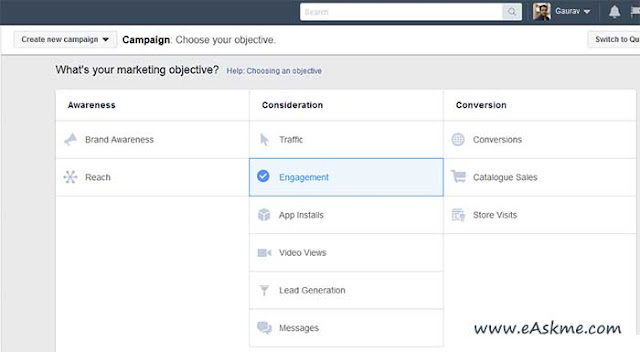 How to set up a Facebook marketing messaging test? You need to create a similar ad campaign for every single message. Here the message will differ, but ad creative is similar. You should also use to match the image with the concept. What will you learn from this marketing messaging testing? This test will help you find out which message attracts the maximum audience. Content is one of the most important parts of digital marketing strategy. Your content must have the power of engagement and attraction. You must optimize your content to get the best results. How to setup content optimization testing? You can use images, text, emojis, videos, etc. How to run a content optimization test? What will you learn from this content optimization testing? Content optimization testing will help you understand the creative’s, style and format. You can find out that what will work best for you. You may need to run multiple tests.